Every week we try to highlight creative bloggers out on the cook books of the interweb that are doing a great job utilizing lavender in their cooking. Today we have a beauty for you. Behold! We have made a lot of wonderful scone recipes on this blog of ours, but today, I've found one I can't wait to make. Look at how beautiful and delicious these lavender scones from Half Baked Harvest are? 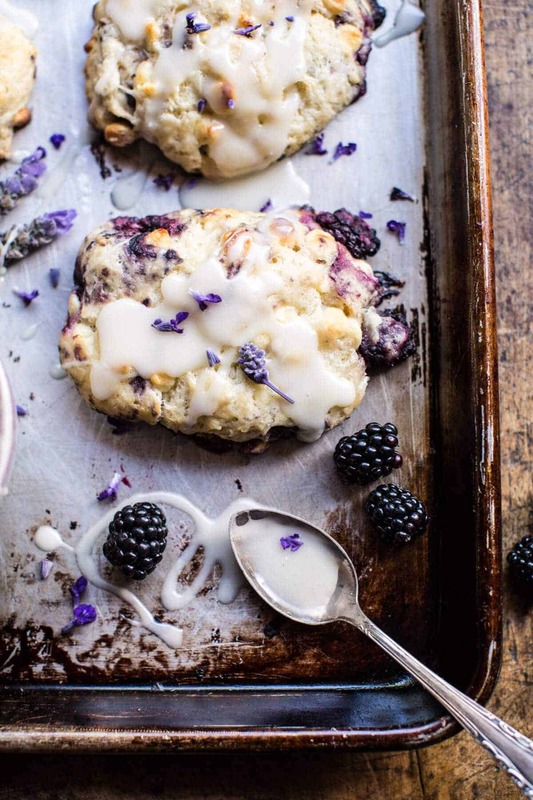 But they aren't just lavender scones - they are blackberry lavender white chocolate scones. I'll give you a moment to pick your jaw up from the floor. Yes, that sounds pretty darn delectable if you ask me. So what are you doing? Go check out their blog right now. You won't regret it.